Welcome to the No Man Left Behind Online Training. This video-based training includes two courses, designed to be done sequentially, consisting of 16 sessions. 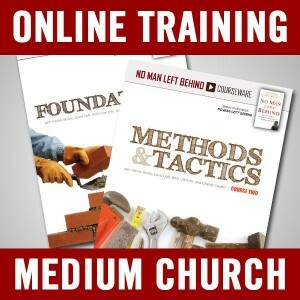 Each session includes downloadable participant guides, as well as facilitator guides. Register your church today to receive unlimited access to train your leaders. 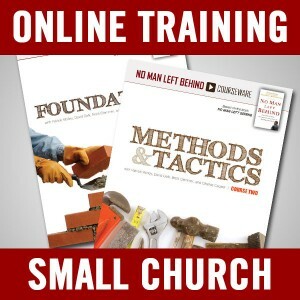 The training is designed to be done together as a team, as there are planning exercises and discussion questions to help you apply the concepts to your church. To get started, choose one of the options below. Tip! If multiple leaders will be logging in, be sure to create a generic username and password for this website that can be shared. Subscriptions are annual and based on church size. Already subscribed? Log in now.